It’s Spring! Bunnies are running rampant around my neighborhood and Easter is just around the corner! Are you looking for some fun and funny bunny coloring crafts for kids? Here are 11 clever ideas you and your kids will love. All of them using inexpensive materials you probably have at home. Free printables and templates for lots of these crafts are included on the sites. I think my favorite is the Paper Bag Bunny, so funny!! Great personality. I also love the cupcake holders. 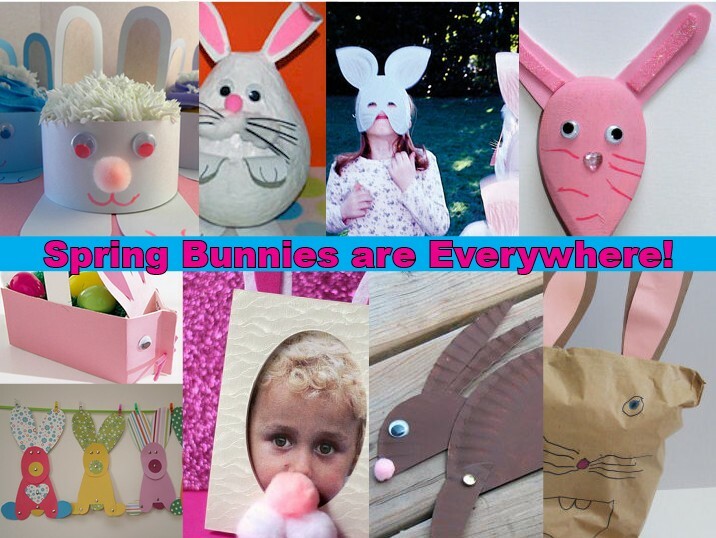 So many crafty mommas out there sharing awesome bunny craft ideas for kids. Create a bunny basket from a milk carton and fill it with cute plastic eggs for a great table decoration. Bunny Masks made from paper plates and construction paper. Great for an Easter-themed party or your family Easter Egg hunt. The Easter Bunny tracing activity will keep preschoolers and toddlers busy on Easter day! Includes bunny coloring page. Young crafters will delight in this easy to make Easter Bunny. Here’s a fun alternative to the same-old, same-old bunny craft using a paper plate. This craft was originally meant to be a Chinese New Year rabbit for 2011, but it could easily be made for Easter or any other occasion. I thought this was adorable. This one takes longer to do because you have to let layers dry well as you go so be prepared to spend a couple of days on this one! I might have to make these just because I can! If my kids were in preschool, these would be great for a classroom party. I know my daughter and I would have fun making them. Here’s a fun paper bag rabbit craft to try with the kids. We think their rabbit has loads of character! 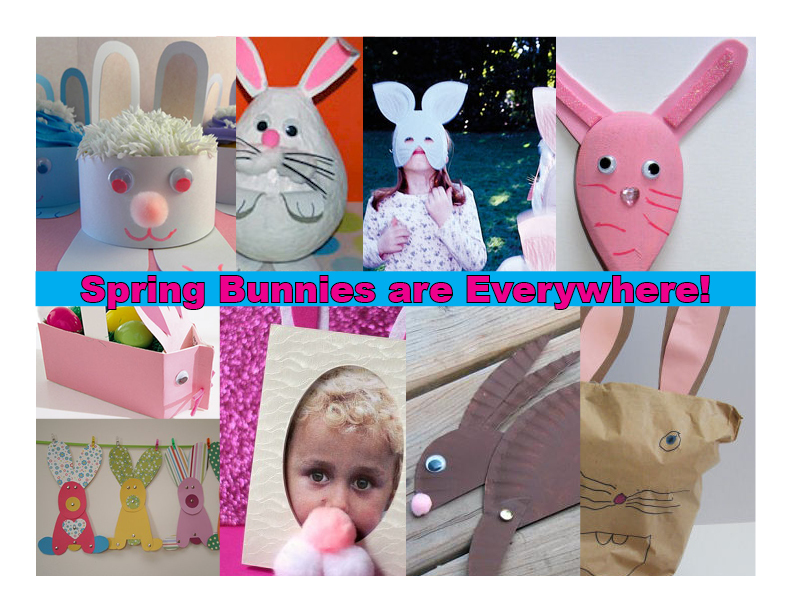 I like this one because I think boys would love making crazy silly bunny faces and bodies with this craft and of course crumpling paper bags is a great noisemaker! Kids can have fun making this Bunny Wooden Spoon Puppet – perfect for Easter, a farm theme, or any time puppets are required! Fun and super easy to make Easter bunnies into a garland – all you need is pretty paper and some brads. Get the tutorial here. And you know I love any craft where I can use leftover scrapbooking paper.